Everyone with business cards can use Magnetic Business Card (M.B.C.) Sticky Notes to keep their name in front of customers. 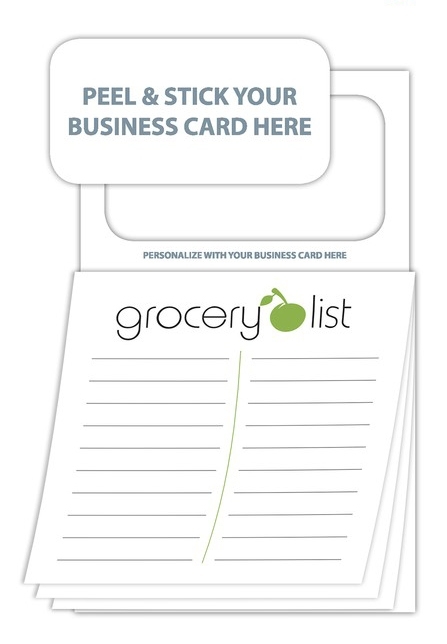 Available in 48 hours or less with stock "Grocery List" artwork, you can have an instant imprinted 20-sheet sticky notepad for trade shows and sales meetings, or use for sales calls and prospecting.